Gannon University graduate Eli Coppock is a social worker by day, but murder mystery aficionado after hours. The Rev. Shawn Clerkin, associate professor of the School of Communication and the Arts, encouraged Coppock to begin performing at the Schuster Theatre during his junior year at Gannon. While Coppock was a history major as an undergraduate, he also enjoyed spending time onstage. His first show at Gannon was “The Poor of New York,” a period melodrama. Since that production, he has performed with several theater groups around Erie. His latest role is in the upcoming murder mystery “Towards Zero,” staged by All An Act Theatre and set to open Feb. 8. 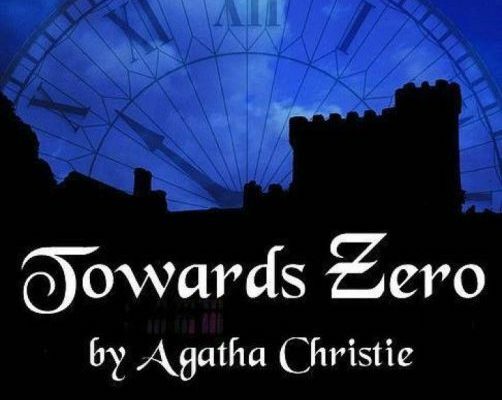 “Towards Zero” is based on Agatha Christie’s acclaimed murder mystery of the same title. The play centers around a dysfunctional group gathering for a weekend party at a seaside home. The guest list includes childhood loves, ex-wives and new flames. As predicted, jealousy rears its head, tempers flare and hijinks ensue, culminating in a nasty murder. Audience members will be kept on their toes until the culprit is finally revealed. Coppock, a 2012 graduate, noted that unlike traditional Christie novels, which focus primarily on the murder(s), “Towards Zero” focuses more on the relationships between characters. “I think the audience will enjoy the story and the relationships,” said Coppock. Coppock performed in his first Agatha Christie show two years ago with Steve Ropski, Ph.D., a professor in the biology department who also dabbles in murder mysteries. The ability to step into a new skin and adopt a fresh perspective consistently draws Coppock to the stage. Theater provides some distance from an emotionally taxing day job in social work. “This is my therapy for myself,” he quipped with a chuckle. The show runs at 7:30 p.m. on Fridays and Saturdays and 3 p.m. on Sundays, Feb. 8 through March 3. All An Act Theatre is located at 652 West 17th St. (corner of 17th and Poplar). Tickets are $10 with student ID and can be purchased at the door or online at allanact.net.